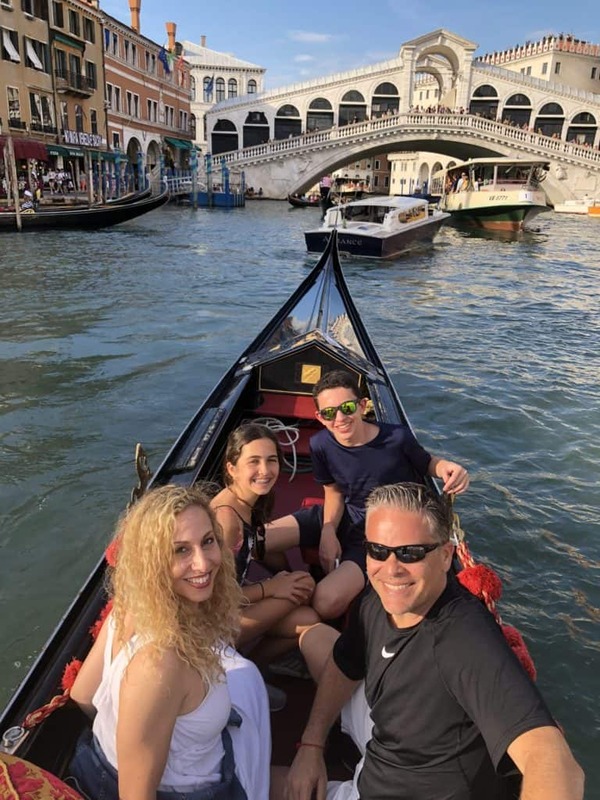 Traveling to Venice with kids can be so much fun! It might be a city known for romance, but it’s unique beauty can (and should be) appreciated by families. There is so much art, history and culture in Venice that it also helps you expand your child’s mind. Kids don’t even notice how much they are learning while walking around the city, exploring the Old and New Ghettos, museums, churches and synagogues. Just don’t overdo it; there comes a point in which kids need to have fun. You can allow them to run a bit when you arrive at a campo or square, but be careful when you are close to canals or the water. If you’re traveling with infants or toddlers, keep in mind that Venice is not the most stroller-friendly city. I did see parents with strollers, and some had a hard time with all the small bridges and steps. Bigger bridges now try to accommodate wheelchairs and strollers, but in narrow streets and smaller canals, you will have to lift the stroller up and carry it over the stairs. Don’t overschedule your days. Venice is a city that begs to be discovered by walking and even getting lost. Plan a few activities each day, but allow yourselves to be spontaneous. That way you can explore lesser known churches, streets and art galleries. Also, keep in mind that you need ample time to get anywhere, especially if you will take the public water taxi. If you’re rushed, you will be stressed out and your kids might act out. The idea is not to do the most you can; a family vacation should be about enjoying every minute the most you can. Pack your most comfortable shoes. I cannot stress this enough. You will walk for hours in Venice, whether it’s exploring its narrow streets, visiting the Doge’s Palace or the museums. Avoid blisters by wearing shoes you have already broken in. Plan at least one child-centric tour. 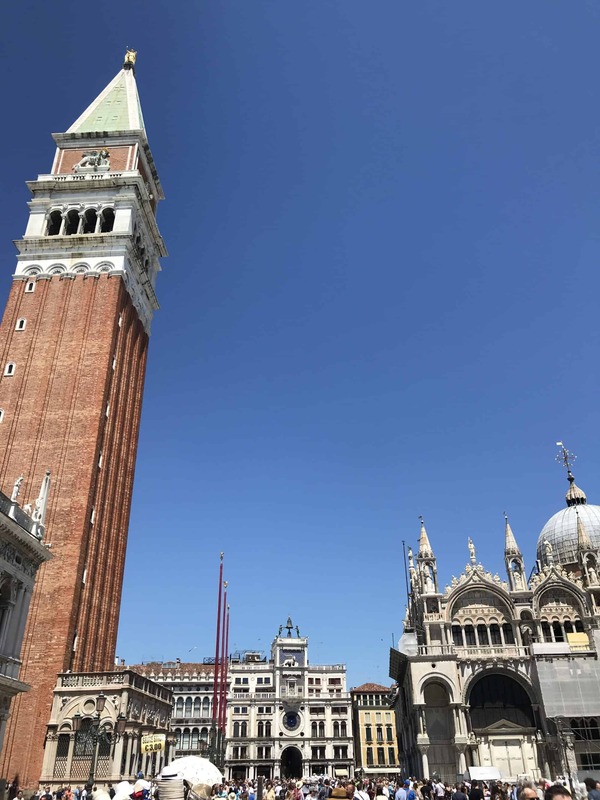 We partnered with Macacotour to do a treasure hunt in Campo Santa Maria Formosa, just a few minutes away from the hectic St. Mark’s Square and it was a treat. 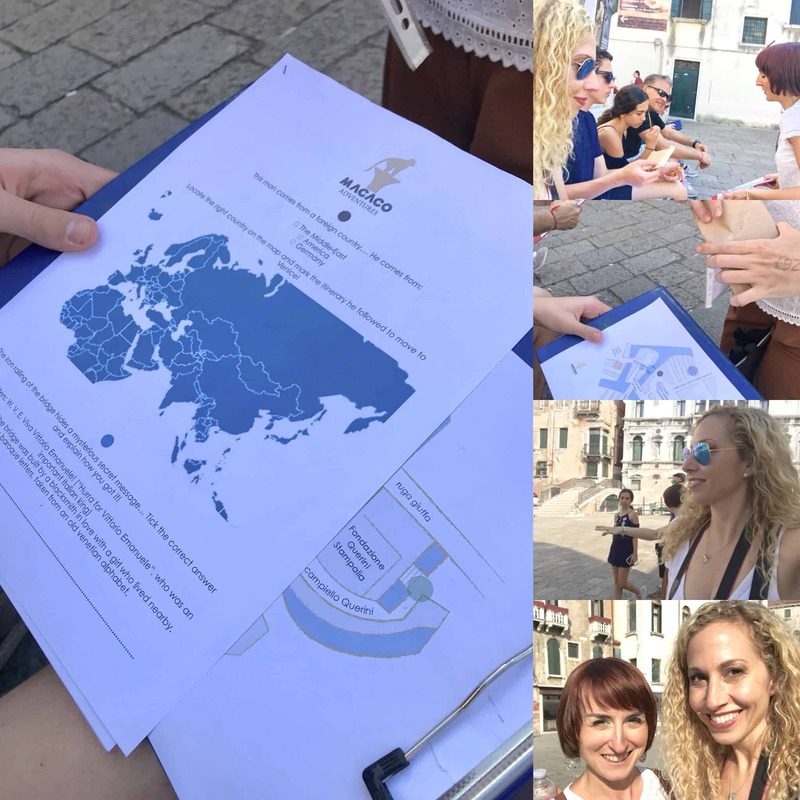 Not only did we learn new details about Italy and Venice’s history, but we also discovered landmarks and architectural details with the help of our guide Gaia. We all loved exploring the Acqua Alta book shop. Macacotour also offers glass blowing tours and other workshops geared for younger kids, ages 5-11. They are very receptive to your family’s needs and can also make recommendations tailored to your children’s interests. Check their special offers here. Enjoy food on the go. Italian cuisine tends to be popular with the entire family and in Venice you will find pizza, gelato (ice cream) and small plates called cicchetti (Italian tapas) that can be enjoyed while you walk from one landmark to another or take a break from all the walking sitting at a Bacaro (wine bar). There are many squares (campos) where children can run around while you sit for a few minutes. At the Campo Santo Stefano we really enjoyed the food and ice cream treats at the Cafe de Venezia. 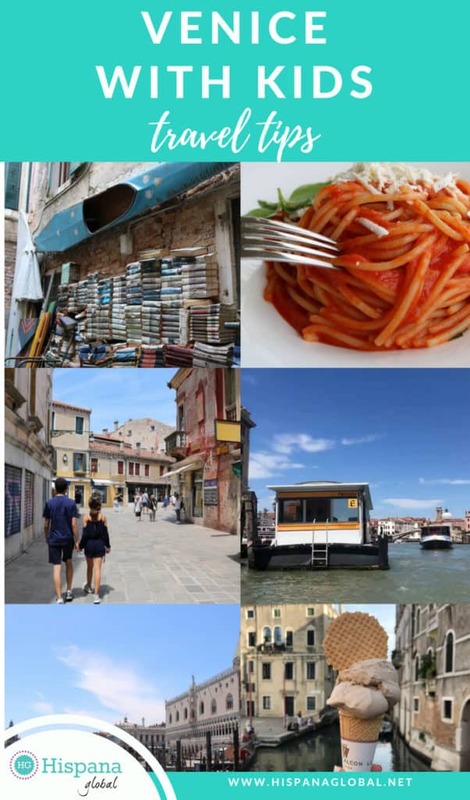 Get a Venezia Unica pass or ACTV ticket for the ACTV Vaporetto or waterbus public transit system. 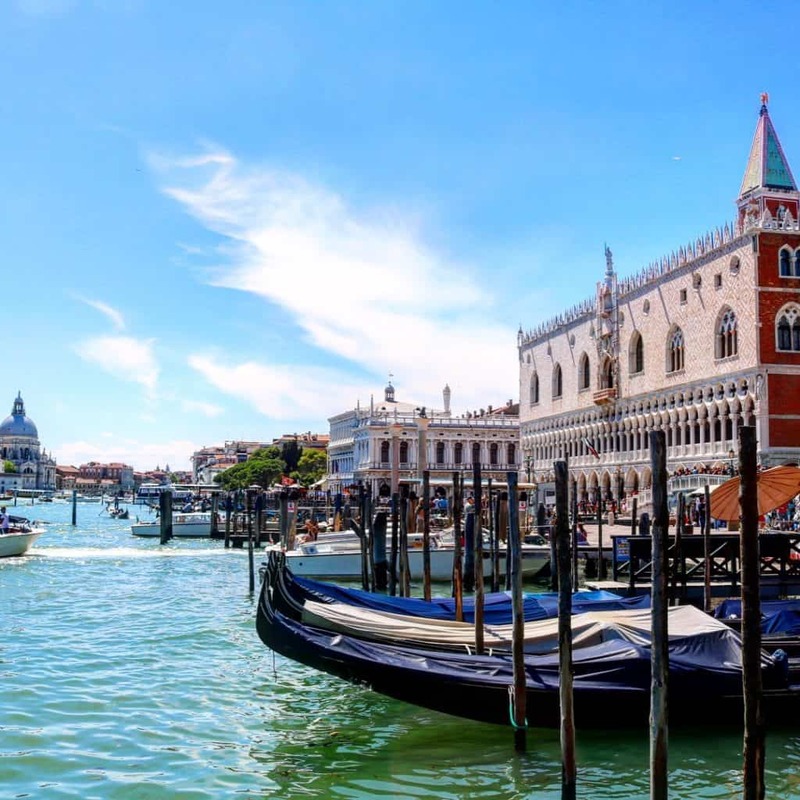 For 30 euros per adult, you get unlimited access to the vaporetti for 48 hours, while those younger than 29 years of age qualify for a 22 Euro 72 hour pass called Rolling Venice. You may purchase your pass from the Venezia Unica ticket desks located by main stops close to St. Mark’s Square or at other resellers. Riding the vaporetto will not only provide a break from all the walking, but is also a beautiful way to see Venice and its islands. It’s a fun boat ride and kids usually enjoy it. We tried sitting in the back for the best views, unless we were planning a short ride to a specific attraction. This way you can explore Murano, Burano and the less touristy Canareggio area. Find more information here. Do the clichés. Aside from the church and the clock tower, the Piazza San Marco (St Mark’s Square) is known for its pigeons (and the cafes with outrageous prices!). It’s okay to behave like a tourist. We enjoyed an overpriced coffee overlooking the square and saved bread to get our pictures feeding the pigeons. In the beginning the teens weren’t that excited but later had so much fun that we got amazing (and funny) pictures. We also rode on a Gondola; just make sure to book one during the daytime, unless you want to pay 20% extra for the night surcharge. Consider scheduling a family photo shoot. When visiting such unique locations with your children, you might want to invest in pictures you will treasure forever. This way the family photographer (usually Mom!) is also in the picture. Ksenia (photographervenice.eu) took breathtaking photos while guiding us through less explored areas of Venice. You can also book a photographer through services such as ShootMyTravel.com. Whatever you decide to do with your time in Venice, remember that it’s a city that needs to be enjoyed without rushing. It’s so unique (and sometimes confusing), that it’s okay to get lost, or to take your time to discover it. And remember to enjoy every second you spend in Venice with kids, regardless of their age.